There are a multitude of things that a food truck owner has to worry about. One of the most common things put on the back-burner is what employees want from the job. Although getting a raise is great, it’s not always what an employee is looking for. Finding and keeping employees with the right work ethic, experience, and commitment should be your number one priority as far as your staffing goes. 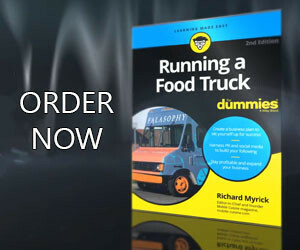 But what about once you hire the perfect employee; how do you keep them with your food truck business for the long haul? By focusing on these three components of what employees want, you’ll turn this food truck utopia into a reality. Some employees may work for you without expecting to move up in job positions, while others will expect it to happen within the first year or two. Regardless almost all employees some point will want to have the chance at a bigger and better future, after all, isn’t that the American Dream? If the employee can’t move up into a management position, then help them get the experience they need to use once they move on to another food business. Educating your employees and giving them all the information they need to better perform their jobs won’t be detrimental to your business, it will help production. Employees don’t want to work for someone that doesn’t care about their well-being. Take the time to listen to their ideas and give them input. There are lots of ways to listen to your employees, whether this is through a suggestion box, email, phone, or in-person. Employees want to feel like they have contributed to the overall goal of a company. They want to feel like they’re valued, so give them a chance. Yes it’s true, not all ideas have value but giving your employee the chance to explain their ideas may give you an idea of where they’re coming from. Who knows, letting them explain their idea could even lead to a new idea that will boost your profits. There are few things that stress employees out more than inconsistencies in their schedule. Although some things cannot be avoided, creating a schedule of tasks and goals can create a less-stressful work environment. For large projects or events, create goals or milestones and keep your employee updated on their progress. Have them (or you) schedule tasks for each milestone, creating a clear picture of what needs to be done before moving on. Making goals for projects keeps the work interesting. Consistency is the key to a happy environment. You’ll find that very few workers will want to come in and not know what they are going to be doing that day. Rather, have a schedule of tasks for jobs they need to complete that day and stick to the schedule. If changes need to be made, let them know well in advance: a less-stressed worker is a better worker. Vendors we speak with frequently come to us with the same struggle. Hiring and retaining the best talent for their food trucks. As the employer you need to be active and engaging to keep top performers content. Use this list of what employees want to create an almost ideal workplace, so that you can retain your existing talent.